Enjoy the view from your new deck! If you need to trade in your current deck OR add a new deck to your home, we can help! 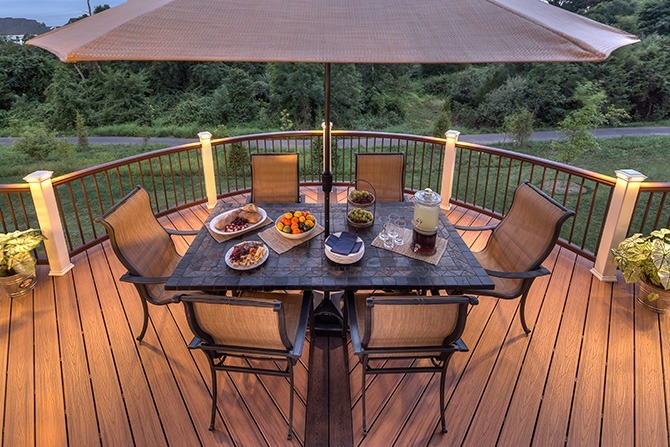 With a low maintenance deck, you can enjoy being outside without adding extra work to your plate. Kick off your shoes because there are no splinters or cracked boards here! Let us help you envision your custom deck before you purchase it. State of the art 3D modeling allows you to adjust layouts, colors and style in advance, leaving you without regrets! There are decks and then there are well designed decks that look like an extension of the home!